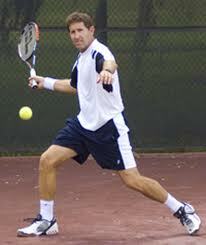 Brian Gottfried, a Miami native, won 14 National Junior Amateur tennis titles, and was a two-time All-American at Trinity University, becoming the 1972 NCAA singles and doubles runner-up. Professionally, he was ranked No. 3 in 1977 in singles and in 1975 and 1976, was ranked No. 1 in doubles with Raul Ramirez. The five-time Davis Cup team member won the 1984 ATP Sportsmanship Award and was elected ATP president in 1987. From 1989-96, he was the ATP Tour’s director of tennis, and is now the GM of the Ponte Vedra Beach club facility.